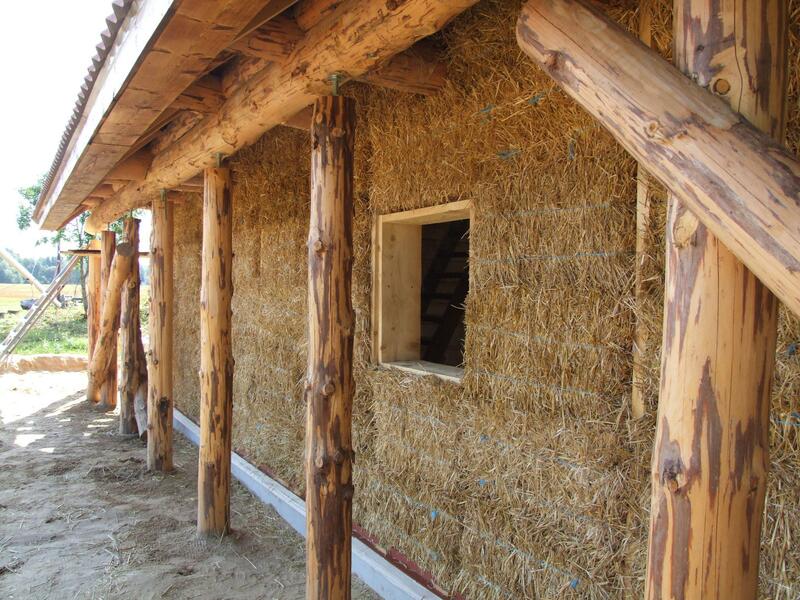 Straw bale buildings were originally used by North American prairie farmers as a free and easy material to build walls with. One that would keep them and their animals warm during long harsh winters and cool in the hot dry summers. 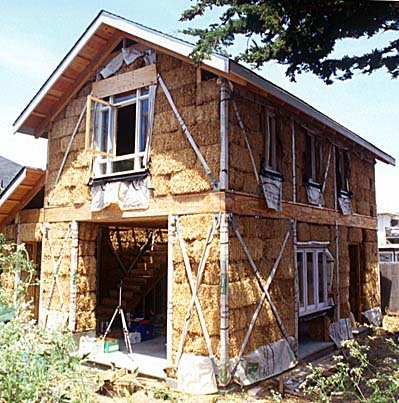 Most straw bale buildings are post and beam or timber framed with the bales acting as infill and insulation. However, some are built with the walls as load bearing, more often then not this method is used for smaller buildings and barns. Traditionally residents would cover their outer walls with wood siding. 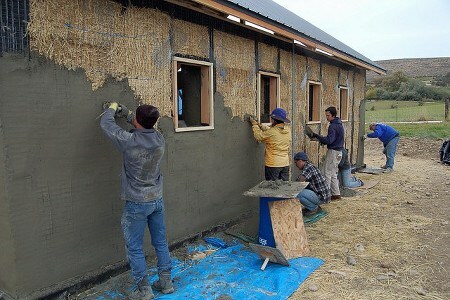 Straw Bales are laid like bricks, wrapped in netting and sealed with earthen or lime plaster. It is of the utmost importance to have the walls well above ground and to have the walls covered by a generous roof overhang. Humidity will cause rot in the bales and damage the integrity of the building. 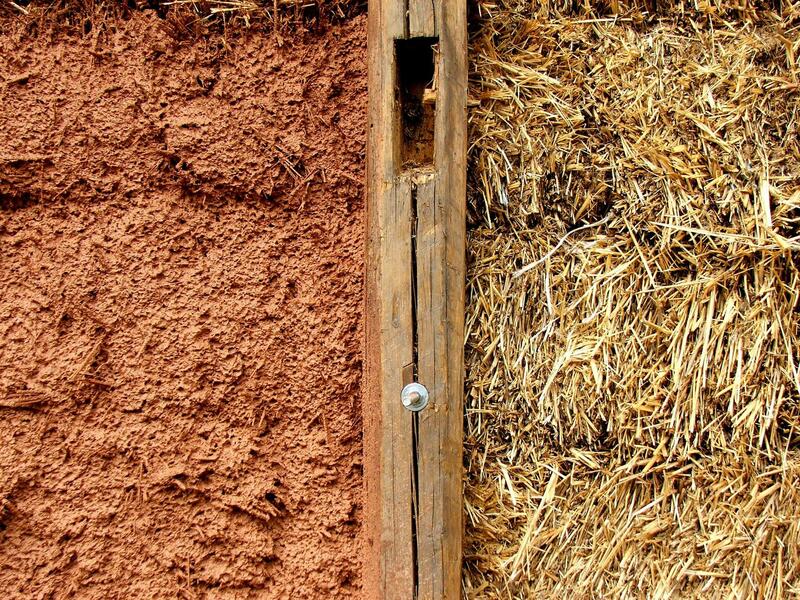 This is why it's important to plaster the bales with a breathable material, and why this method of construction pairs so well with wood heating, it allows the house to dry from the inside out. 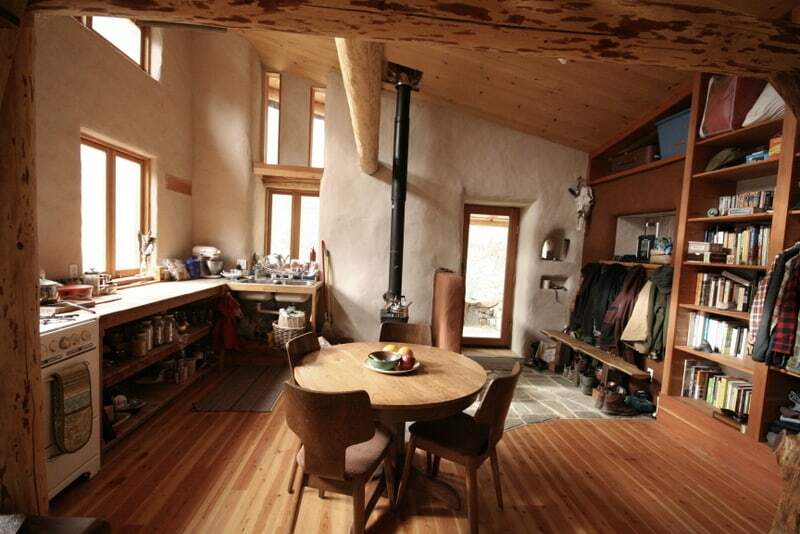 Straw bale walls usually have an R-value of 30-40. To give some perspective, the minimum R-value for walls in Whitehorse, Yukon is R-28 and a Passive house R-value tends to range from R-40 to R-60 for the walls. R-Value is away of measuring how well your home retains or blocks heat, The higher the R value the more heat energy is retained indoors or inversely kept outdoors. For this reason, straw bale buildings are highly suited to continental climates which are known for their annual temperature swings.